It’s been a while! The book mentioned in the last post, When You See Flukes, is now published, and people seem to be enjoying it. You can take a look at it, and find out more about my latest marine-related art, at Spot the Whale, where you’ll also find another occasional blog, with whale-related entries. 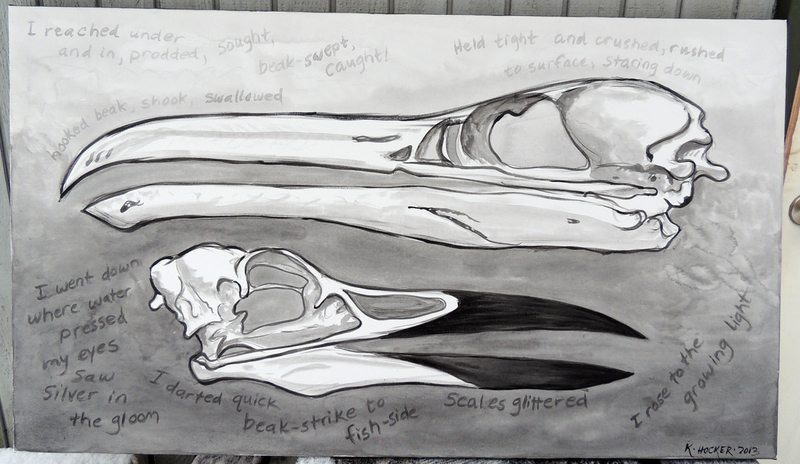 I’ve also been busy with a large-scale (literally) sketching project. Last spring, I applied for, and received, an individual artist grant from the Juneau Arts and Humanities Council. 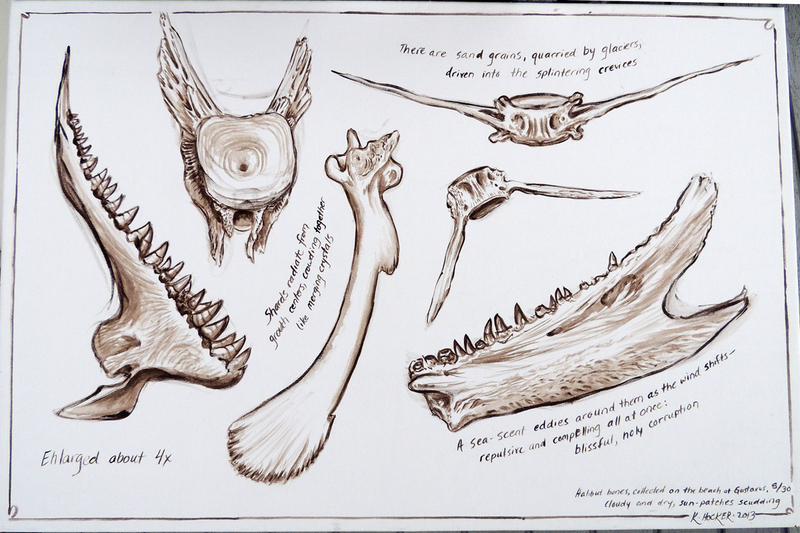 The grant was for supplies and time to create a series of large paintings in the style of my field sketch pages. So from July through December, I battled canvas, splashed paint, wrestled easels, and learned a whole lot about painting with big brushes, working with canvas, and getting over my obsession with tiny details and fussiness. It was a wonderful experience! Here are a couple of the resulting canvases. First, the version that’s really just about making the sketch page big, then the version where I started letting go of the idea of tidy page arrangement and tidy notes, and tried to just celebrate looseness of brushstrokes and the connections between words and images. Both paintings are about four feet wide. I might post a few more of the canvases, and the stories behind them, in the future.